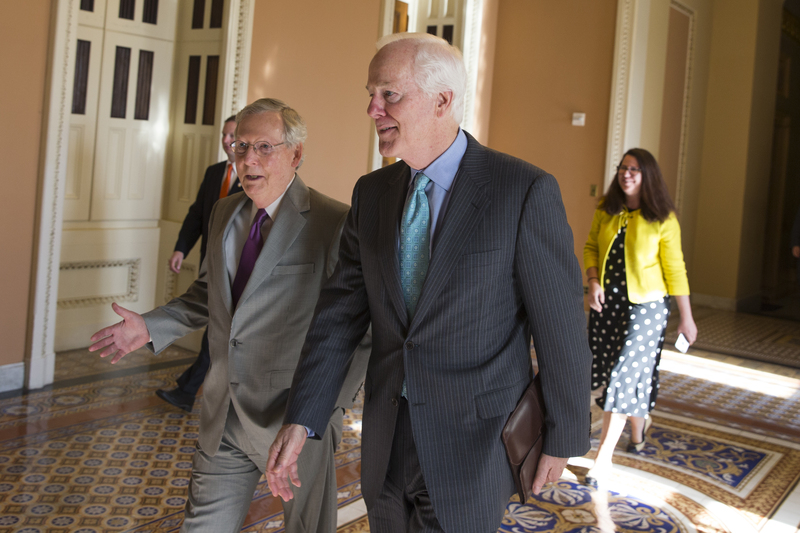 The spending bill Congress passed this week is awful for any number of reasons, but one particular act of perfidy from John Cornyn stands out: Nobody had a chance to read the legislative language on the gun part. We've written previously about how, whatever the merits (or lack thereof) of any legislative proposal, our general lack of trust in John Cornyn meant we also didn't trust him on this topic. This is why. When someone who has repeatedly demonstrated their lack of trustworthiness makes a policy change of this magnitude with this much secrecy, you have no choice but to assume the worst. Nobody objects to keeping firearms out of the hands of dangerous individuals. Natural Law 101 dictates that the only time it's ok to infringe upon an individual's rights is when they are a threat to other people. But doing so requires a narrowly-tailored mechanism that focuses on dangerous individuals. It also requires an effective mechanism. Unfortunately, government at every level has failed to do this in the past, and we have no reason to believe they will do better in the future. Only a fool would give more power to the same government that has repeatedly failed. That's how "keeping firearms out of the hands of dangerous individuals" morphs into "disarming innocent civilians." To actually keep firearms out of the hands of dangerous individuals, you need very precise legislative language. You need a team of lawyers to vet that language for unintended consequences. You also need very significant reforms to various bureaucracies at various levels of government. Then, you need an open and transparent process to present the proposal to the public. None of that happened. Instead, you had a last-minute cramdown that will lead to who knows what unintended consequences. And we have John Cornyn to thank for the whole mess. Bottom Line: Nobody objects to keeping firearms out of the hands of dangerous individuals. But people rightly object to disarming innocent civilians. Unfortunately, given both John Cornyn's record and the optics of this week's process, nobody can blame Texans for assuming the worst.